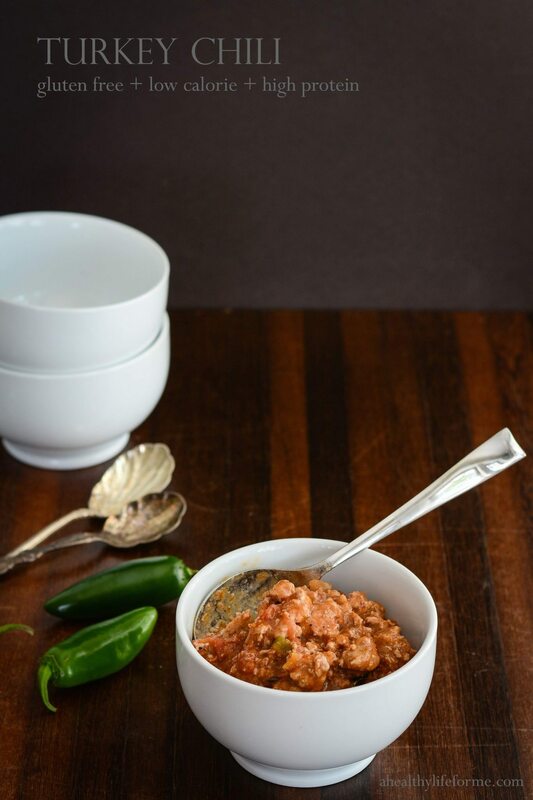 This Turkey Chili is gluten free, low calorie and delicious. Perfect for your fall dinner, tailgating, or Sunday Dinner. Chili good enough for the BIG game without the BIG calories! This is one of my most requested recipes, its easy to make, delicious, low-calorie and you can freeze it. What’s not to love!! I promise no one will ever guess this is made with Turkey. When I tell the guests after all the chili is gone, people are shocked and immediately want the recipe even more than they did before. Low calorie and delicious makes everyone very happy! This dish is simple to throw together the prep time is 15 minutes, then you leave the Chili to a simmer. You can freeze this in small or large batches and pull out to serve. You would never guess that it had been frozen. Great to serve a crowd watching the game at your house, or making ahead of time and serving while tailgating. You can always make the dish a little spicier by adding a few diced jalapeños or Serrano chilies. Some shredded Mexican cheese (a blend of cheddar, pepper jack), a dollop of sour cream and oyster crackers (my favorite are Skyline crackers) make the perfect topping. Heat oil in large nonstick saucepan over medium-high heat. Add the turkey and cook, breaking it up with a spoon, until the turkey is browned, about 6 minutes. Add the peppers, onion, and garlic and cook, stirring occasionally until vegetables are tender, about 8 minutes. Add the tomatoes, beans, salsa, chili powder, cumin, and salt, bring to a boil. Reduce the heat and simmer, covered, stirring occasionally, until the flavors are blended and the chili begins to thicken, about 1 hour. Serve with the cheese and scallions. I need to try this at my next Mexican feast! 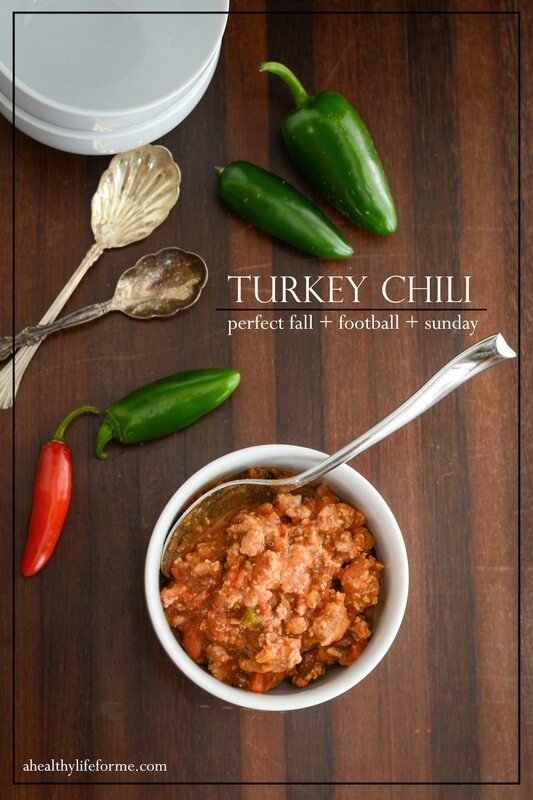 Chili is the perfect cold weather football watching food.